Question: Can I bring my children to Live Oak for dental care? Answer: Absolutely! We are pleased to welcome patients of all ages – from the youngest to the most senior members of your family. Question: My kids are nervous about going to the dentist. Can Dr. Argandona help make it easier for them? Answer: Our trained staff is used to providing pediatric dental care, so we understand how to make our youngest patients feel at ease. Question: Does Dr. Argandona do cosmetic procedures? Answer: Yes. Dr. Argandona and her staff provide a wide variety of cosmetic dental procedures as well as restorative and orthodontic services. Answer: We are pleased to provide two office locations for the convenience of our patients – one in Leander, TX, and another in West Lake Hills, TX. 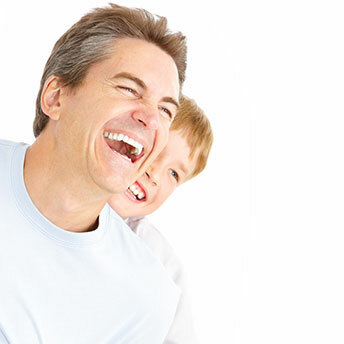 Why Choose Live Oak Family Dental for Family Dentistry? Dr. Argandona and her staff are pleased to provide a wide variety of dental services to patients of all ages. And we offer sedation for those patients who are nervous about going to the dentist. We understand that our patients’ dental needs change over time, so we offer preventive, restorative, orthodontic and cosmetic procedures. At Live Oak Family Dental Care, we take the “Family” part of our name seriously! When you choose a dentist for your family, it’s important to choose one with experience in treating patients of all ages. Dr. Argandona is pleased to provide a wide variety of services for patients of all ages – from braces for your teenager to partials and dentures for grandparents and everything in between! Contact Live Oak Family Dental for Family Dentistry! If you or anyone in your family needs dental care, contact us today. We offer two locations – one in Leander, TX, and another in West Lake Hills, TX. We would love to welcome you and your family to our patient family!